Did You Know That Horses Are Surprisingly Smart? People often wonder if horses are as smart as other animals. Are they as smart as dogs and cats? Which is smarter, a donkey or a horse? Exactly what are they able to learn? How long can they remember? In this article, we will explore these questions and more! 1 Are Horses Smart? Which Is Smarter? 2 What About Comparing Horses, Donkeys And Mules? 3 Do Horses Have Big Brains? 5 Can Horses Recognize People? Are Horses Smart? Which Is Smarter? When comparing horses’ intelligence with that of other animals, it’s wise to realize that you are comparing “apples and oranges”. For example, there’s really no comparison between predators such as cats and dogs and prey animals, such as horses. They have an entirely different type of intelligence. This is why comparing intelligence from one type of animal to another is rather an exercise in futility. You could go on about how an octopus, a porpoise, a pig or a chimp is far smarter than a horse, but try saddling one of them up or hitching it to a cart. The kind of intelligence that makes an octopus a pro at finding clever hiding places, a porpoise a champ at rescuing stranded swimmers, a pig a fine ally for hunting truffles or a chimp a skilled user of tools are all entirely different than the kind of intelligence that makes a horse excellent at taking in and processing environmental information and building good relationships. Making these kinds of comparisons is pointless. What About Comparing Horses, Donkeys And Mules? Comparing a horse’s intelligence to that of other equines is a bit more sensible as they are all prey animals with similar survival and social requirements. Generally speaking, donkeys are considered to be smarter than horses, but this is mostly because they are clever. They seem to be able to plot and scheme a bit and even play jokes. Mules and hinnies (horse/donkey hybrids) are also often thought of as being a bit smarter than horses because all hybrids tend to take on the best qualities of each parent. When comparing types of equines or even different breeds of horses for intelligence, it is important to remember that early upbringing, nutrition, handling, training and general life experience make up a large part of the intelligence of all beings. 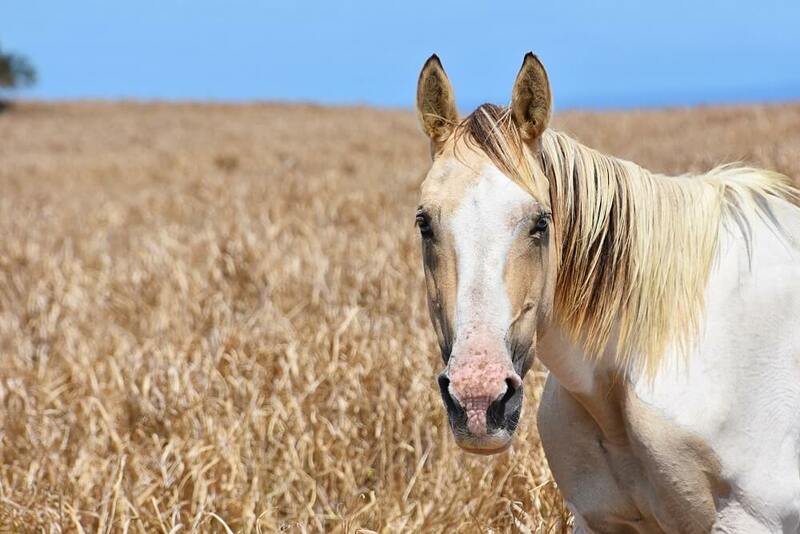 It’s hard to say that one breed of horse is smarter than another, although generally speaking, it’s well known that hot or warm blooded horses can learn faster than cold bloods. 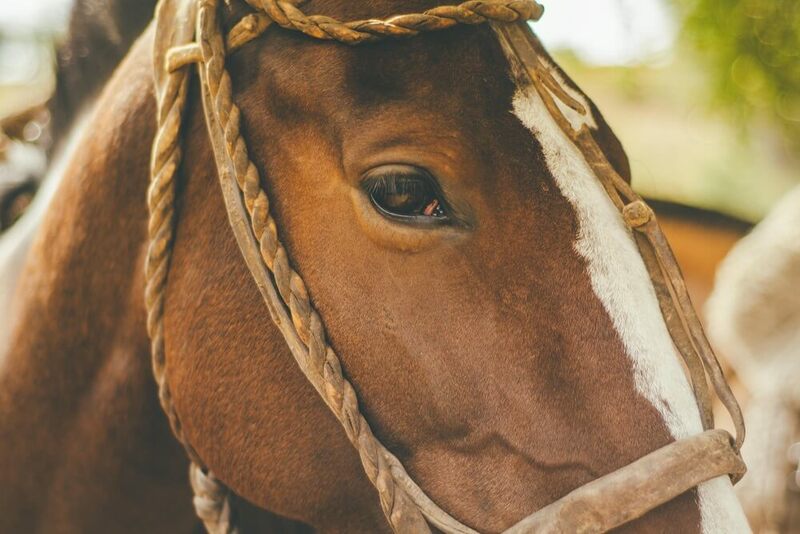 Horse breeds are developed with an eye toward strengthening the traits that make a given breed suitable for a specific purpose or job. Even so, each horse is an individual, just as we are. It’s best to approach them that way and give every horse you meet a chance to show you its unique intelligence and value. Do Horses Have Big Brains? According to the Equine Behavioral Health Resource Center the brain of a horse is about the same size as that of a small child. A horse’s intelligence is about equal to that of a 12-year-old human. When comparing levels of intelligence among species, the weight of the brain is somewhat of an indicator. A horse’s brain weighs between one-and-a-half and two pounds. A cat’s brain weighs about a third of a pound. An adult human’s brain weighs about three pounds. Even though horses’ brains are a bit smaller than adult human brains, their structure is fairly similar. Differences lie in the parts of the brain used for language and fine-motor development and for information analysis. Humans have more brain power devoted to the former two traits, while horses have us beat in terms of information analysis. This is because a horse’s cerebellum (round bits found at the brain’s base) makes up a much larger proportion of a horse’s brain than a human’s. The cerebellum is devoted to integrating sensory perception with motor control and coordination. Because horses are prey animals, these characteristics are very important. Keep in mind that a foal must be ready to jump up and run within an hour of birth. Compare this with the coordination and motor control of a human baby. Because of the size of the cerebellum, horses learn new things more rapidly than humans do. Furthermore, they retain information much longer. When a horse learns something, it is typically a permanent addition. People tend to retain information only so long as it is needed and then it is forgotten. 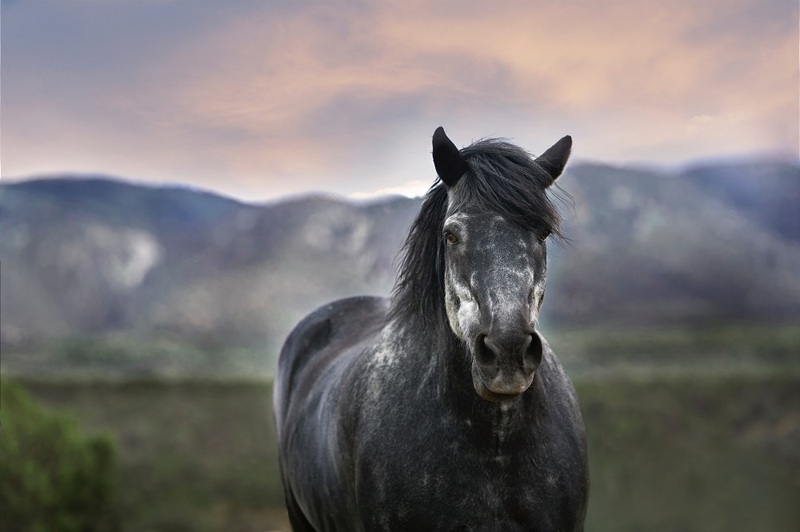 Horses learn new information, including their own names, through repetition or conditioning. When they hear or see a stimulus a number of times, they respond in a variety of ways until they are naturally or artificially rewarded for arriving at the appropriate response. Because horses have very strong powers of memory, you can teach your horse consistent verbal commands and physical or sound signals and expect him to remember them correctly months or even years later – even if you do not practice. Another difference between humans and horses when it comes to gathering and processing information is that humans rely on hearing and sight a great deal more than horses do. Horses are far more dependent upon the sense of smell to gather information. Even so, horses do use the sense of sight quite a bit. In communicating with each other and with us, they are very skilled at reading the body language of those around them. 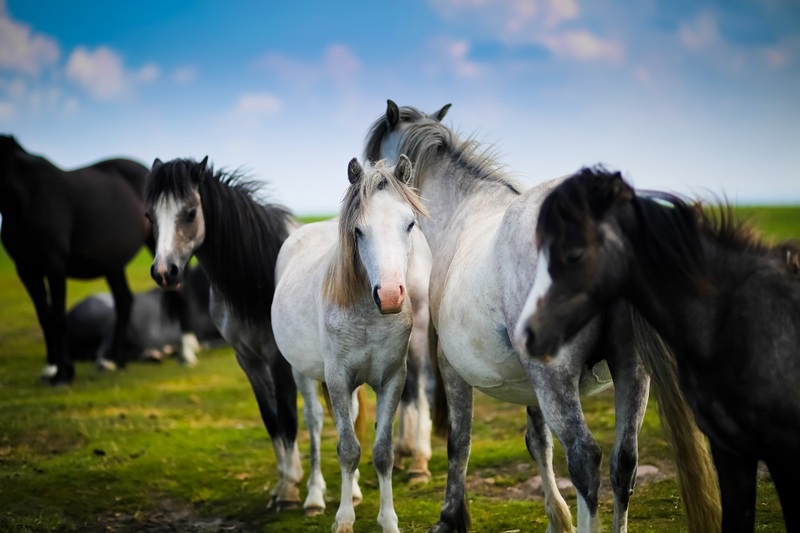 These differences in gathering and processing information mean that while people are very good at communicating and creating, horses are very good at taking in and comprehending the surrounding environment. Face-to-face, horses use both the sense of sight and smell to recognize the emotions of those around them. Research indicates that horses are at least as skilled as dogs when it comes to recognizing the emotions of their handlers. They do this through scent and by reading a person’s body language and facial expressions. 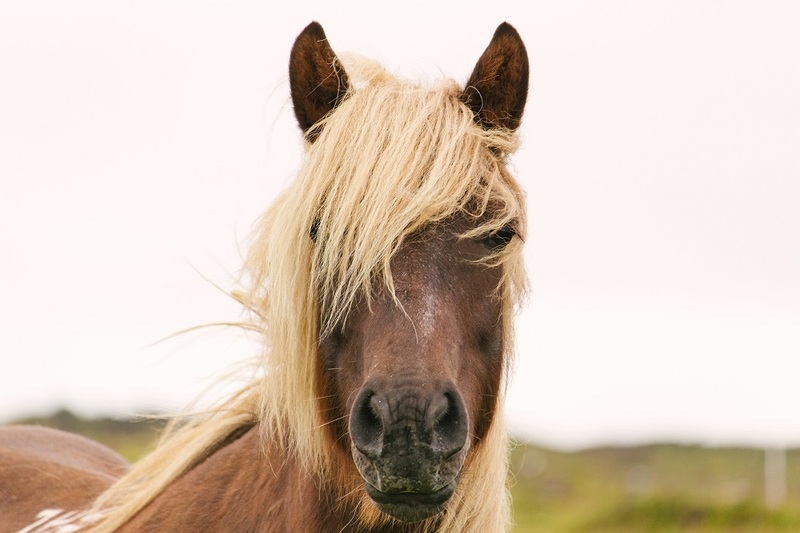 Some research has indicated that horses are even able to recognize emotions when looking at photographs of familiar faces. The knowledge that horses are able to recognize images in a two dimensional photo has led to some other interesting experiments. For example, a test group of 23 horses were taught to ask for or refuse a blanket or rug by being shown images. Once the horses got the hang of it, they were all able to indicate whether or not they wanted to wear a blanket. Predictably, on cold days they asked for a rug. On warm days they did not. They did this by pointing to “rug” or “no rug” images with their muzzles. If you have a horse, you know this is a silly question. Of course, horses can recognize people. In fact, research indicates that horses recognize voices and faces even after long separations. Naturally, they also know you by your scent. 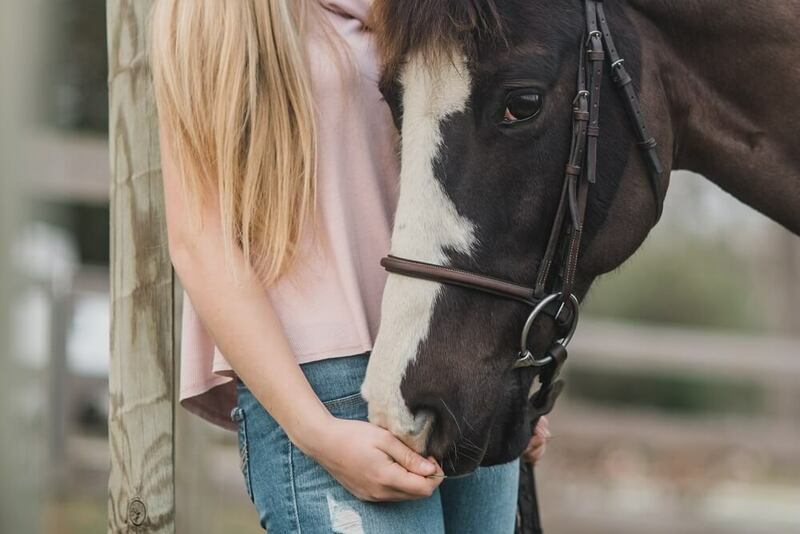 A horse will recognize a person who has frightened it or a person who has been kind even after a great deal of time has passed, so it is important to behave mindfully with your horse to build a good bond. To bond with your horse, you must spend a great deal of time with him or her. Allow your horse to become accustomed to your scent. Talk with your horse and maintain a consistent and calm demeanor. All of these things add up to create a positive connection between the two of you. Remember that no matter what sort of connection/relationship you build with your horse, he or she will not forget you. The relationship between humans and horses is a unique one as anyone who rides well can tell you. A good relationship with a horse results in a strong partnership built on mutual cooperation. Horses are remarkably intelligent and sensitive animals. In nature, they participate in a very complex social structure that includes selecting and recognizing leaders. When horses acknowledge a herd leader, that individual is often not the swiftest or the strongest. Usually, the herd leader is an older, wiser, experienced mare. There may be a stallion who watches over and protects the herd, but the real leader is usually a matriarch. The natural structure of horse society makes it clear that these animals are able to think and decide. To be able to create a real partnership with your horse, it is important that you recognize the depth and complexity of horse intelligence. This is an awesome write up! I always figured that an animal that can be trained by a human had to be very smart. In order to get a routine down AND remember that routine is not something that any animal can, or be willing to do.